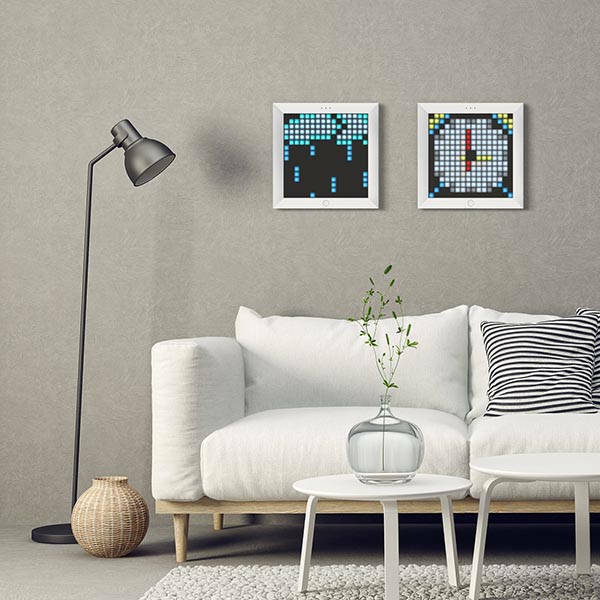 Divoom Pixoo app-enabled LED pixel frame has been ready to bring your own pixel art into your room. Like the idea? Let’s keep checking. 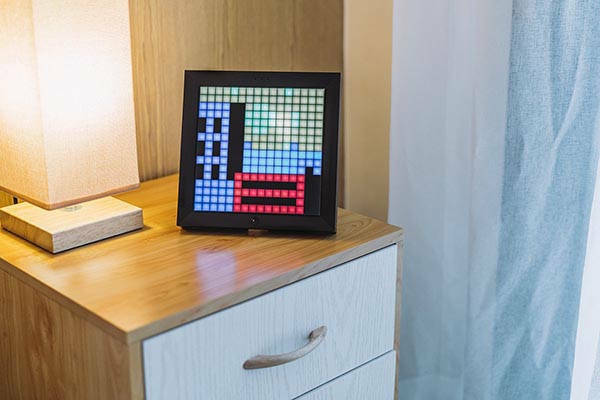 The Pixoo is an app-enabled, customizable LED pixel frame. As we can see from the images, the pixel frame looks like a regular square photo frame, which features a sleek, and minimal appearance design. With two classic colors: black and white, the frame is compliant to any interior decoration style. Meanwhile, integrated stand and mounting attachment, you can easily place it on any surface or mount it on the wall. Similar with Tivoo Bluetooth speaker, the 16 x 16 frame features a RGB LED screen, and built-in Bluetooth technology, it wirelessly connects with your smartphone so that you can use its companion app to create your own pixel art that can be displayed on the pixel frame. Furthermore, it features 16 million selectable colors, and it’s as bright as 3W lightbulb in order to perfectly present your pixelated creations. Furthermore, it also serves as a digital clock with alarm. When your smartphone receives Facebook. Twitter, text message and other social media notifications, the frame will remind you in a more eye-catching method. The Pixoo app-enabled LED pixel frame is priced at $50 USD. If you’re interested, jump to Fancy for its more details.